We always strive to deliver the final product of exceptional value. That said, it’s impossible to create a really great package tour without looking to the sides, as there is a lot of competition out there in the travel industry. That’s why we decided to benchmark our product against other companies’ offers. And this time we decided to examine our comprehensive Scandinavia small group tour - Scandinavian Capitals & Fjords. Now, the first thought we had was ‘Wow, we’re expensive!’ But that’s before you start looking into details. As you might have noticed, both competitors don’t include airport meeting services. We strive to deliver the final product of exceptional value and include 4+ star hotels in central locations and airport transfers in all small group packages. You may not think about it when planning the journey, but details like that contribute immensely to how satisfied you are when the trip ends. As such, guaranteed airport pick-ups make your travel worry-free and save you from spending a fortune on private transfers or taxi rides. And as far as hotels are concerned, accommodation in the city center gives you the opportunity to explore the main landmarks, shopping centers, and restaurants even on foot without the need to pay extra for public transport or taxis. Now let’s take a look at the transportation used. Both rivals use large tourist buses for 40 passengers when it comes to transferring groups between different locations. In the end, you waste half of the tour on simply getting to your next destination. We tried to make transportation as fast and as enjoyable as possible. That's why our tour includes a scenic train ride from Oslo to Flåm, an awe-inspiring boat ride from Flåm to Bergen and a quick flight from Bergen to Stockholm. To top it all, our tours begin on your arrival day, unlike in the case of Go Ahead Tours where the first and last days are counted and marked in the program as departure/arrival overnight flights from/to your hometown. City tours are one of the most important aspects of your trip! This is when you learn about the place you are visiting and that’s why we always stick to a small group format. Most tour companies offer large group tours up to 35 or even 40 people, our group size for city tours is up to 20 people. This ratio ensures that you can always hear the guide well, don’t waste time on waiting for other group members and see more amazing sights instead. Moreover, we include activities in each day with no "Free Days" that leave you completely to yourself. 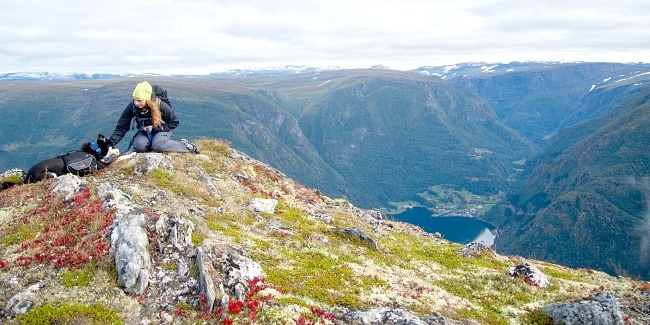 As a result, you waste twice less time wondering what to occupy yourself with and enjoy both exciting guided tours and leisurely paced free time afterward in some of Scandinavia's most beautiful locales. Now the best part about our small group program is our amazing special offer! When booking a 10-day tour you get a 2-day complimentary extension to Helsinki worth $690 per person. This short trip program includes all transportation, hotels and guides. We hope this comparison will be helpful for you and help you understand the overall value of the product better. Perfection always hides in the smallest details and we do our best to make sure any of our trips are seamless, comfortable and memorable for our valued customers. Our destination specialists are always happy to help you plan an amazing journey. So whenever you are ready, don't hesitate to contact us.